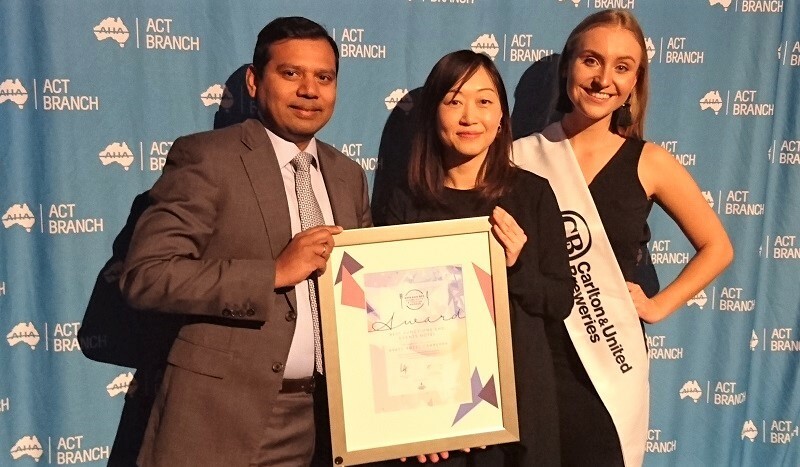 The Duxton bar, East Hotel, National Convention Centre and Little National Hotel were the major winners at the 2018 Hospitality & Tourism Awards hosted by the Australian Hotels Association (AHA) ACT Branch on Monday, July 23. Best Local – Joint winners: Edgars Inn and Public. 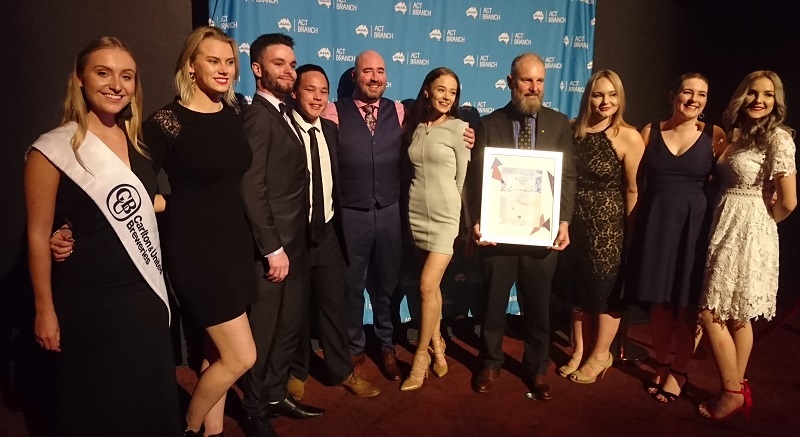 Across more than 30 categories, there were a number of new Awards – including Best Speciality Themed Restaurant, won by RAKU, and Best Burger, taken out by The District at Crace. Outstanding hospitality employees and high-achieving industry leaders were also honoured including accommodation hotel identity Paul Tomas, who won Member of the Year, and licensed venue stalwart Brian Smith winning the John Press Award. East Hotel won Best Suite/Apartment Hotel and Best Superior Accommodation, while Little National Hotel in Barton won Best First-Class Accommodation (4 Star), Best Environmental Practice and Best Front of House Employee with David Utschink. However, one of the stand-out venues to be honoured was The Duxton at O’Connor, that won three Awards: Best Functions and Events Venue, Best TAB Licensed Venue and Best Pub Eatery. General Manager David Quinn said he was delighted with Duxton’s results, given the high calibre of licensed hospitality venues and pubs across Canberra. “There are so many fantastic venues in Canberra and it’s a real honour and privilege to be recognised among your peers,” said Mr Quinn. The local accommodation hotel, hospitality and tourism sector is vital to the ACT’s economy and contributes over $2 billion to the local economy and employs 16,000 Canberrans, said AHA ACT General Manager Anthony Brierley. “Competition was incredibly tough this year, particularly given the high number of nominees. I congratulate all award winners,” Mr Brierley said. 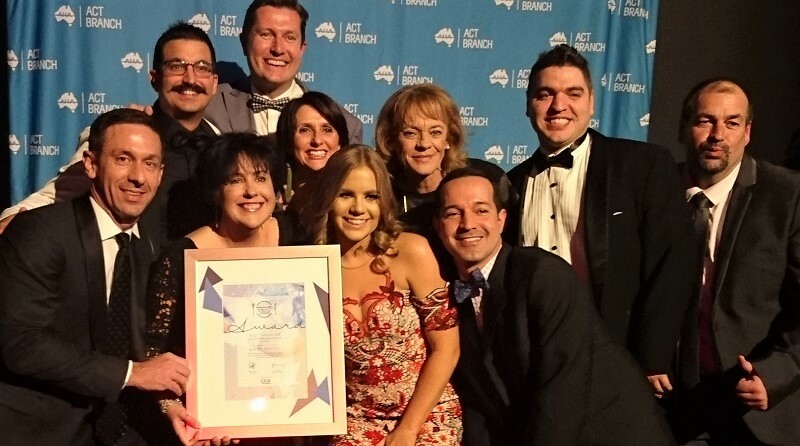 Winners of AHA ACT Awards will be eligible to compete at the AHA National Awards for Excellence to be held in September on the Gold Coast this year. Best Local – Joint winners – Edgars Inn and Public.